An agile performance management platform for a more agile world. Empower your people to succeed, with feedback and recognition that’s more regular, more social and more relevant. 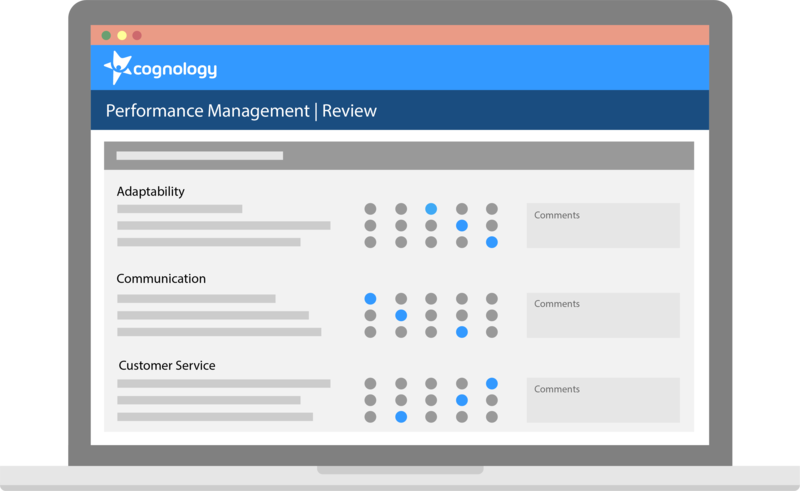 Cognology brings together traditional performance management processes with a modern approach to peer feedback and social recognition, and up-to-the-minute feedback and competencies tracking – so you can see the whole picture. Intelligently generated reporting in one click, and seamless integration with our Learning Management System. So you can identify development needs, act on them, and measure professional growth all in the one place. Measure the dimensions of performance that matter most to you. Design the feedback and review processes that make sense for you. Draw upon our extensive library of best practice frameworks and templates, or build your own from scratch – whichever works best for you. Forget photocopying and processing endless reams of performance review forms. 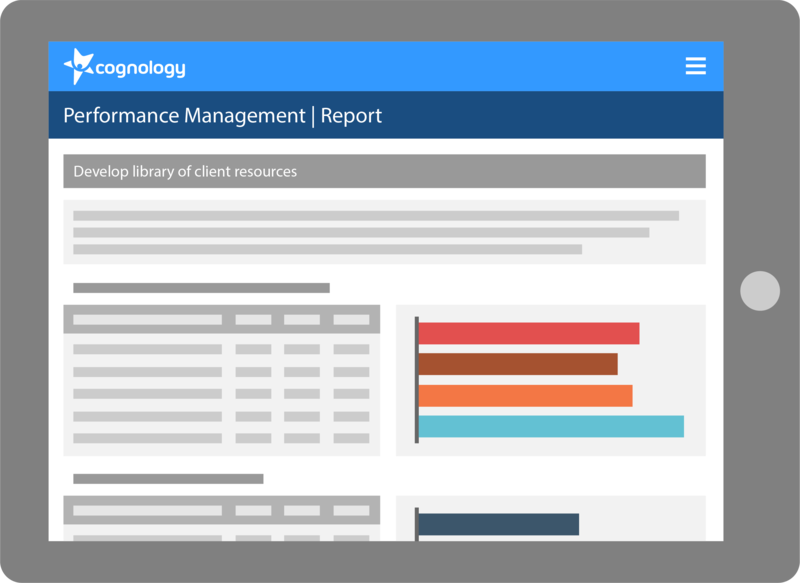 Cognology provides one central place to collect, store and analyse all your performance and development data. Always there when you need it, and optimised for smartphone, tablet and desktop. As workplaces become more connected, collaborative and fast-paced, performance management has to adapt to remain relevant and useful. for this changing world of work. 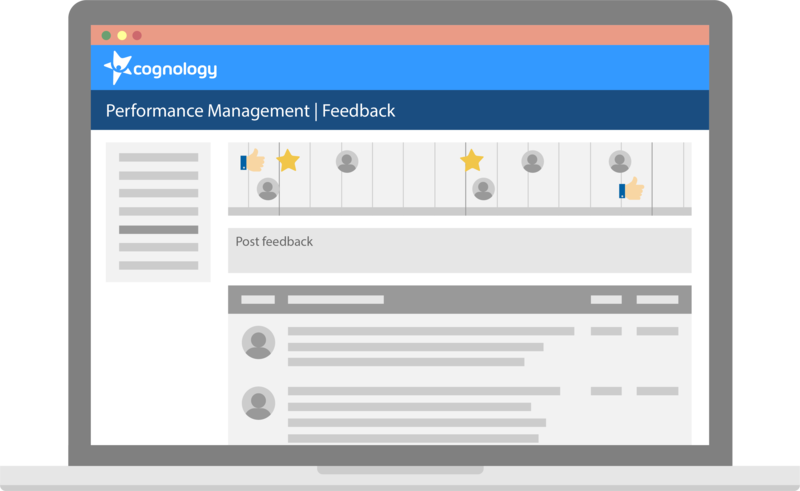 Cognology Performance Management makes it easy to provide the feedback and recognition to help your people succeed. From aligning around a performance plan through to conducting an appraisal and identifying development opportunities, we bring everything together into one simple, streamlined process. 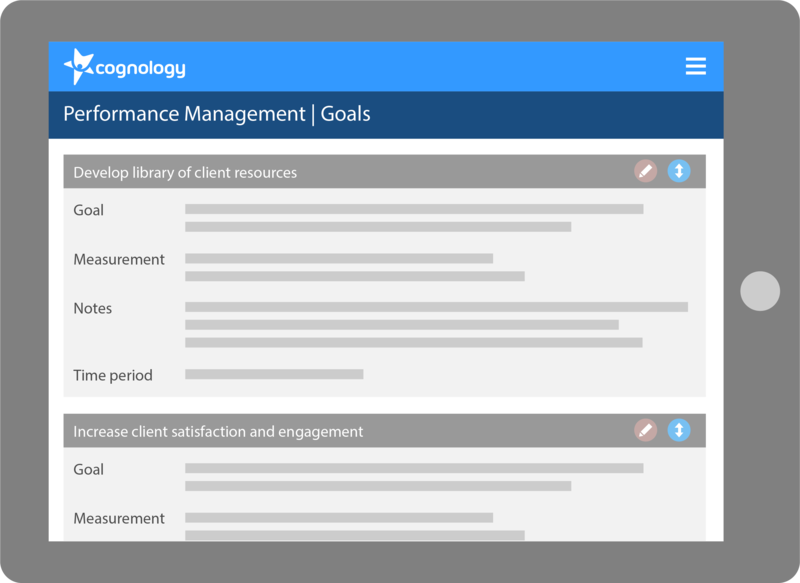 Getting on the same page about goals and objectives is simple with Cognology Performance Management. With our highly configurable performance plan builder, you can cascade performance objectives through the organisation, duplicate them across teams, or start from a blank slate and set entirely new ones – all in a matter of minutes. Click across to the next tab to agree upon the required role competencies, and voila – you’ve just built a performance plan! Make performance a continuous conversation with in-the-moment feedback all year round, and keep a record of it all in our simple one-click dashboard. Bring peers into the conversation – with seamless enterprise social integration, it’s easy to give or request feedback and recognition from colleagues. Every piece of feedback gets pulled into a dedicated timeline, providing a real time chart of professional growth and development, there for reference whenever you need it. How frequently should performance reviews occur? Who needs to be involved in the review process? What feedback is needed from which people? With full configurability and seamless integration into our 360 Degree Feedback platform, design the performance review process that’s right for your needs. Once you click save, your job is done – our full workflow automation will take care of emailing the feedback surveys, chasing up respondents and crunching the data. Two weeks later, an email lands in your inbox – the performance review process for your team member is complete, and their performance report has already been automatically generated! Highlighting key areas of over-performance or further development focus, the report focuses on actionable insights which can directly translate into a professional development plan. If you want to dive deeper into the numbers, the raw data is one click away. Or for a big picture view of your entire team, check out the analytics dashboard. 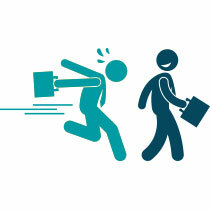 Far too often, performance reviews happen and then just get filed away on a dusty shelf. 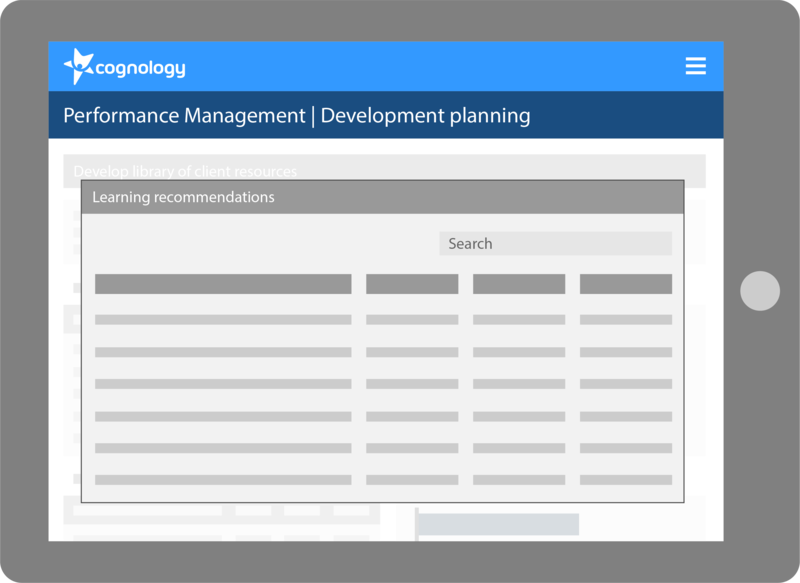 We think performance management should always be about helping your people to learn and grow, and that’s exactly what we’ve built Cognology Performance Management to do. With live tracking of competencies and seamless integration with our Learning Management System, your employees can go from identifying areas for growth to making a training request in one click. Faster feedback loops. Crowd-sourced feedback and recognition. A focus on skills and capabilities development. 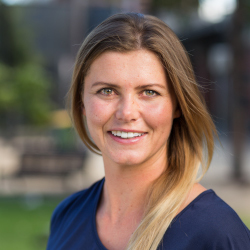 Interested to find out more about how Cognology can help you take your onboarding to the next level? Our friendly team are always up for a chat – get in touch today. We love talking about performance management at parties, and if you’ve gotten this far down the page, you probably do too! Here are a few of our favourite reads about the latest developments in performance management – you can thank us later if one of these is your next great conversation starter!